不要重複 Sony 和 Target 的錯誤。保持對文件的全面控制，即使在分享之​​後。訪問可以隨時修改或撤銷. 超過 30％的員工已經發送電子郵件給錯誤的人。電子郵件附件不能“未發送”，將您的敏感文件置於危險之中。與 Tresorit，撤銷訪問只需要點擊一下。 Tresorit 免費下載 Windows PC 的最新版本。這是完全離線設置安裝程序的 Tresorit. - Introducing Detailed access logs for links: track the email, IP address, approximate location and platforms your shared links are accessed from. Learn more about how Detailed access logs work via our Knowledge Base. - There was change in the new systray icon: it went from white to blue, as we hope the new blue one will look more native on your desktop. 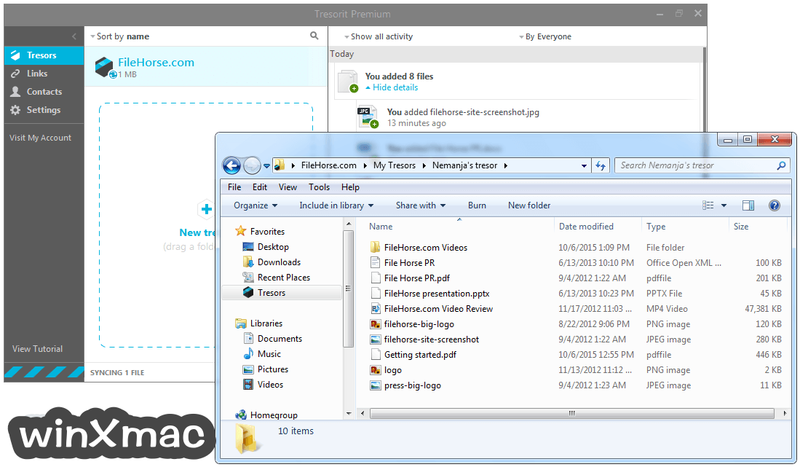 - When you instal Tresorit to a new windows device, the start menu entry will always be created. We agree: it's much easier to find Tresorit this way. 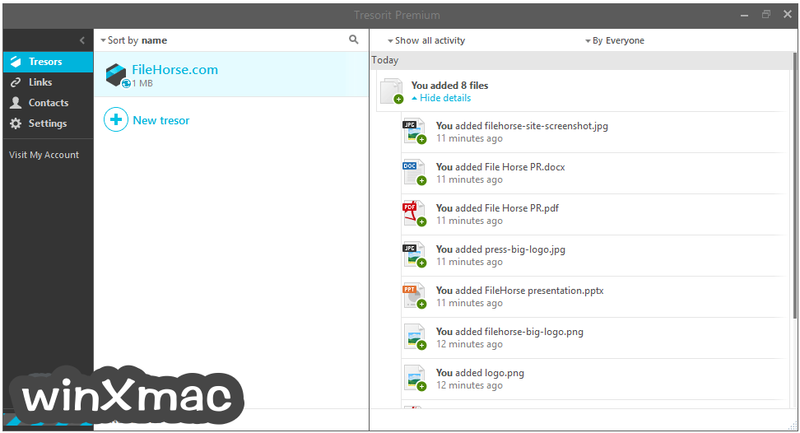 - We always want to make sure your files are uploaded and Tresorit notices when there are new elements to upload. After this fix we are still checking updates regularly, but not as (way too) often as we did before. It saves energy and memory for you and a bit a of a server consumption for us. - Before this fix deleted tresors sometimes showed up in Tresorit Drive. 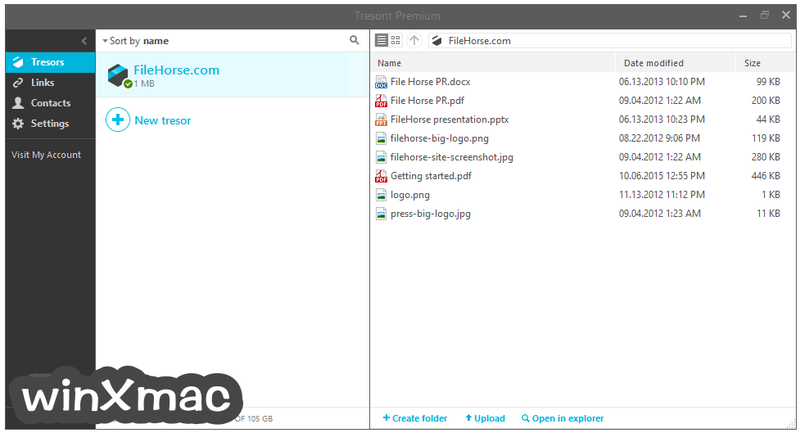 We said no more confusion: when you delete a tresor, it will disappear from Tresorit Drive as well. - Updates include Icon changes in the tresor list details bar etc. 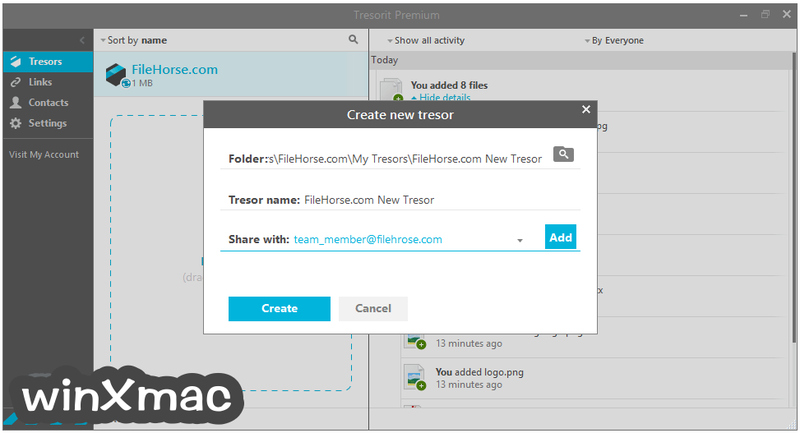 - The Tresorit installer got a bit smarter: we've changes the naming convention and user credentials will be pre-filled. We will still support the old installer format. 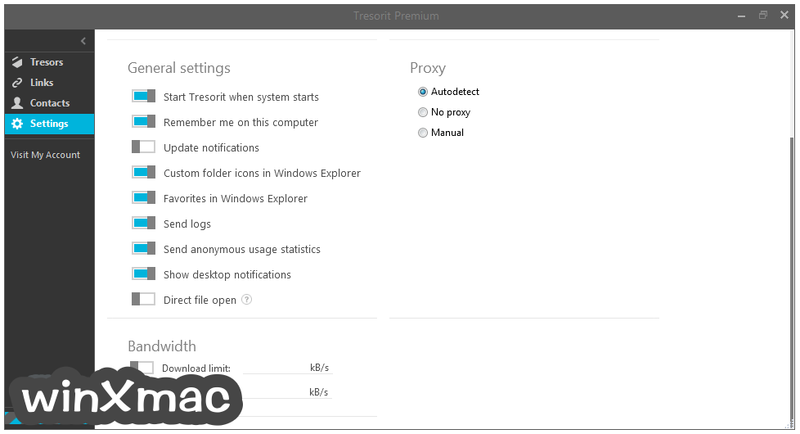 - Tresorit for Windows release includes an important update which will help to decrease CPU and memory usage by migrating user's account info to a new scheme. - We are introducing smarter confirmation notifications. Don't worry, they won't block the application, just quickly confirm whether your last action was successful or not.